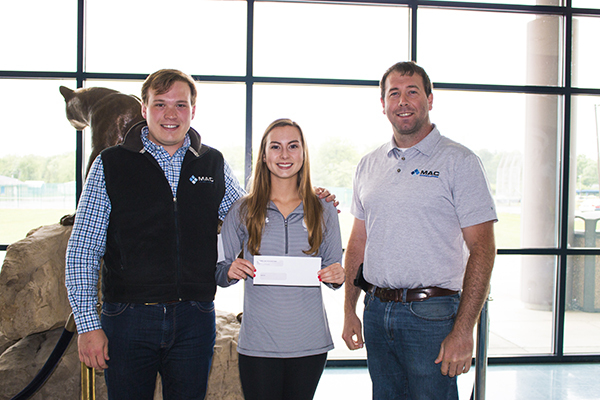 Four Missouri high school seniors, two from the Kansas City area and two from the St. Louis area, will head off to college this fall with a $1,000 scholarship from McConnell & Associates. 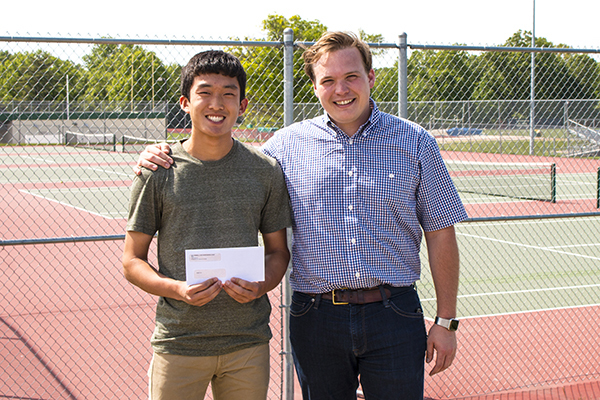 McConnell & Associates Scholarships for Tennis are awarded to a total of four students based on their academic achievements and tennis accomplishments. Brett is a Lindbergh High School graduate and was coached by Brandon Murray. He will attend the University of Pennsylvania and major in biology/dentistry. Katie graduated from O’Fallon Township High School and was coached by Erin Thoman. She will attend Washington University and major in chemical engineering. Spencer is a Platte County High School graduate and was coached by Anna Nutt. He will attend University of Oklahoma with an undeclared major. 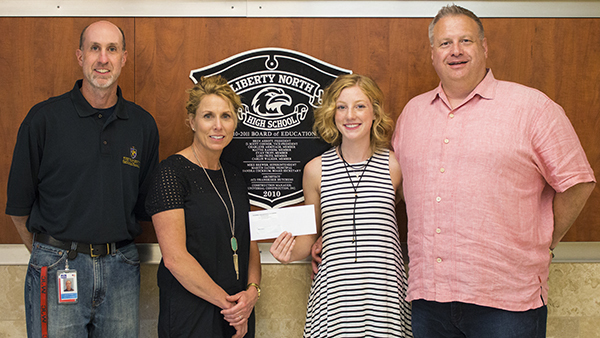 Addie graduated from Liberty North High School and was coached by Doug Davis. She will attend University of Missouri and major in child life and family services. The application committee enjoyed reading applicants’ essays last year and learning how tennis has positively affected their lives. We’re looking forward to reviewing next year’s applications and choosing four more deserving students, like Brett, Katie, Spencer and Addie. We hope we can expand it even more in the coming years. We’re already looking forward to supporting many more players work toward their educational goals. A call for applications is sent out each school year. The awardees from Kansas City and St. Louis high schools are announced each spring for the upcoming fall semester. The $1,000 scholarships are not renewable and can be used toward tuition, fees, books, supplies and equipment required for courses at any two- or four-year accredited U.S. institution. 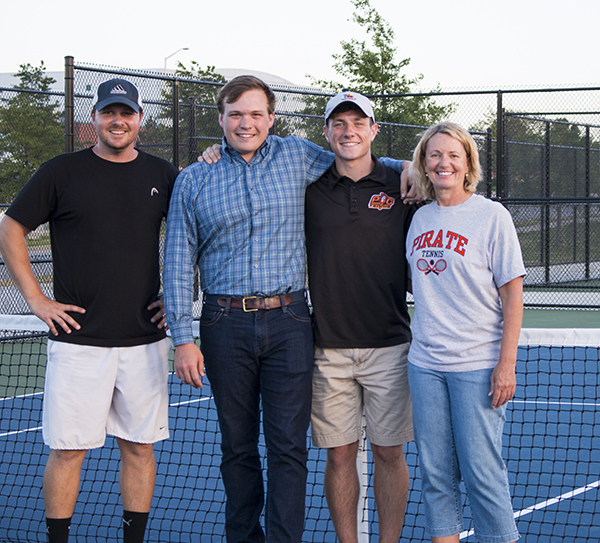 To be eligible to receive a MAC Tennis Scholarship, students must be a high school senior and resident of Kansas City or St. Louis metro areas, participate in a high school tennis program and attending college in the upcoming fall semester. Awardees are selected based on their academic achievement and a 500-word essay answering how their involvement in the high school tennis community impacted their academic and personal growth. The deadline to apply for the 2018 Tennis Scholarship Program will be announced soon. For more information or to apply for scholarships for tennis from MAC, please visit https://mcconnellassociates.org/scholarships/.